Drama, Creativity and Intersubjectivity presents a new theoretical approach to dramatherapy. The book examines the key concepts of creativity and intersubjectivity in detail, through a comparison of their manifestations in children’s life and the major scientific studies and developing research in the fields. Linking these concepts, Salvo Pitruzzella argues that 'identity' as a construct is now outmoded, and needs to be replaced with a more relational model. His ideas impact on dramatherapy theory, updating its basic tenets, and providing insight into how it practically works, with a focus on imagination as a major tool to support change. Drama, Creativity and Intersubjectivity will appeal to dramatherapists in training and practice, as well as other professionals in the field of arts therapies, plus those with a general interest in Creative Arts Therapies. Salvo Pitruzzella is a pioneer of dramatherapy in Italy. He has worked in many fields, including mental health, education and community care, and founded the first training course at the Centro ArtiTerapie, Lecco in 1998. He has published works in numerous areas, including dramatherapy, educational drama, storymaking, creativity, and theatre, and has edited the first Italian unabridged version of William Blake’s last poem Vala, or The Four Zoas. 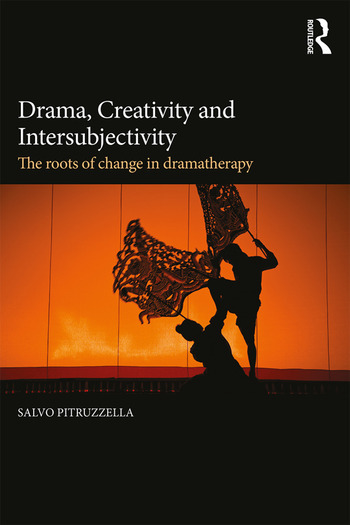 'In his new book, Salvo Pitruzzella presents a vast scholarly landscape of the still emerging field of dramatherapy. Drawing from the ideas of literary mentors, especially Pirandello, and critical observers of society and culture, Pitruzzella argues for a revision of the humanistic paradigm of a singular and whole self. As in my own ideas in role theory, he highlights the complexity and multiplicity of identity. Like Phil Jones, who has crystallized the many extant aspects of the drama therapeutic process, Pitruzzella ends his discussion with a compelling model of drama therapy theory and practice. I encourage all dramatherapists and scholars of the human condition to carefully read this deeply engaging book.' - Robert J. Landy, Ph.D., RDT-BCT, LCAT, Professor of Educational Theatre and Applied Psychology, Director, Drama Therapy Program.